In present day’s, electricity is treated as one of the basic requirements to human beings. But, the cost of making electricity is risky to the environment. According to the energy information records approximate 50% of all electricity plants are contaminating coal plants. Various changes in the environment have happened over the last thirty years, which are injurious to the forthcoming of this planet. To overcome this, here is a solution to diminish greenhouse gas emissions into the soil’s atmosphere through an alternative power generation. 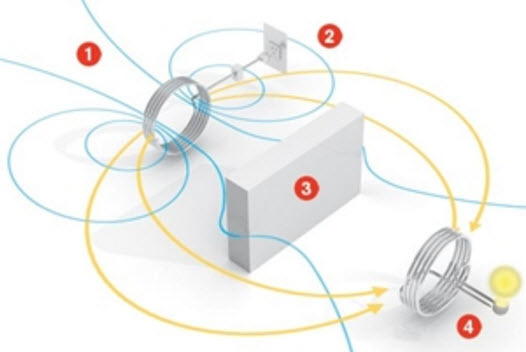 One sustainable technology leading this charge is WPT (wireless power transmission) or IPT (inductive power transfer). The simple wireless power transmission circuit is shown below. 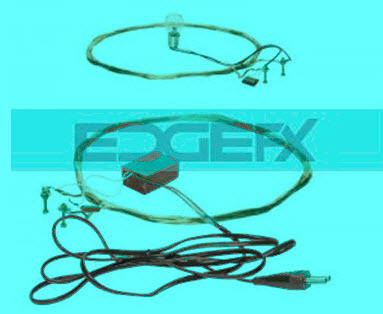 The required components of this circuit mainly include 20-30 magnet wire (gauge copper wire), A battery-1, transistor (2N2222) and LED.The construction of this circuit comprises of a transmitter and a receiver. The main intention of this project is to design a WPT system in 3D space (transfer power within a small range) and the block diagram of this project is shown below.The block diagram of the wireless power transfer mainly builds with HF transformer, capacitors, diode, rectifier, inductor coil filled with air and lamp. The person is mandatory to be worked every year to change the battery. This project is designed to charge a rechargeable battery wirelessly. Since charging of the battery is not possible to be demonstrated, we are providing a DC fan that runs through wireless power. Thus the power transfer can be done with the transmitter (primary) to the receiver (secondary) that is separated by a considerable distance (say 3cm). Therefore the power transfer could be seen as the TX transmits and the RX receives the power to run a load. 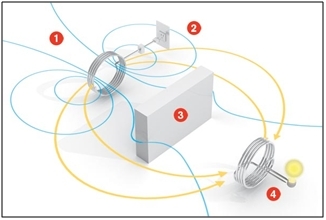 Thus, this is all about wireless power transmission, wireless power transfer circuit working and its applications which include simple electronic devices like mobile phones, mobile chargers, etc.. Wireless power transfer not only reduces the risk of shock and stops to plug frequently into the sockets. We hope that you have got some basic insights about this concept. Moreover, for any technical help on this topic as well on other electrical and electronic engineering projects you can contact us by commenting below. I constructed as you explained but the led didn’t light,it only blinks when i connect (+-ve)wire to the battery from the coil.I want the led to light and not blink lyk i see in other youtube videos. Is this circuit working on the principle “Mutual induction”? I want to run a motor having rating 9v. Hi!! could you please explain the working of this circuit ?? 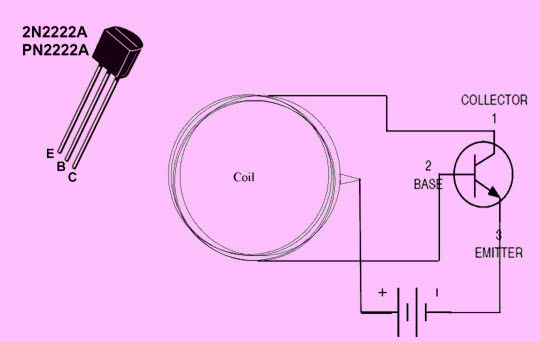 How does a transistor help in converting dc to ac ? is this ‘ wireless power transfer project ‘ big enough to be a final year electronics project ? Hi, I’m wondering if this circuit is the same as the circuit for wireless phone charger? please be specify your query clearly about your project? Hi!you gives a good information.